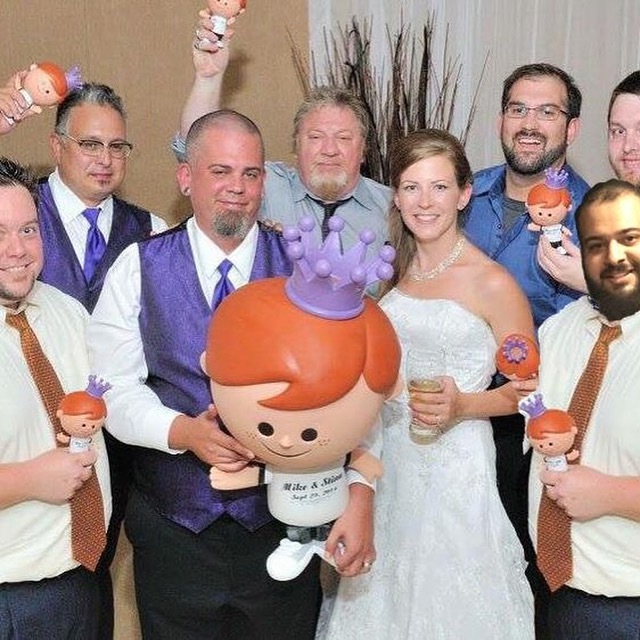 funkystark wrote: I would have to say this is pretty rare,odd, awesome call it what you will In early 2014 closing in on my wedding, I knew that some of my awesome Funatic friends were making quite the trek to Canada (some even had to get their first passport) to be part of our special day and I wanted to say thank you. 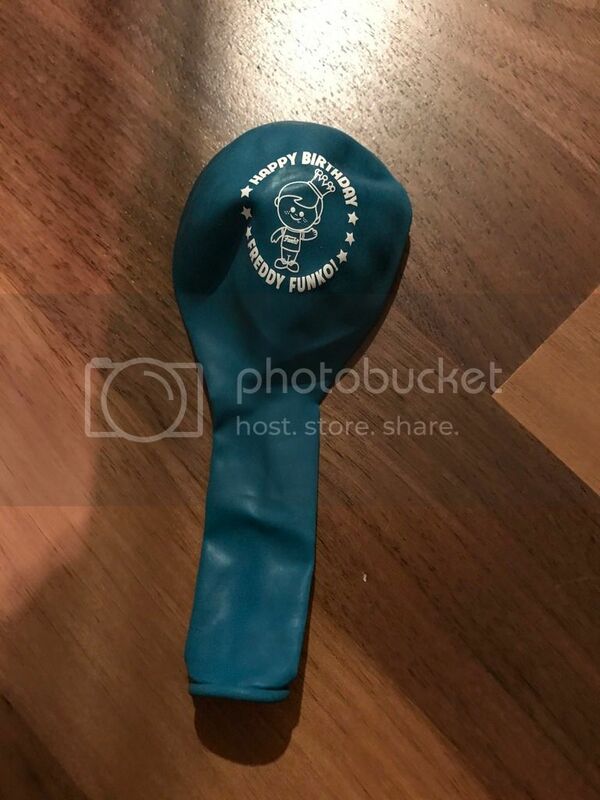 So I reached out to Brian and asked if I could get some blank shirt retro Freddys that myself and my wife could customize as Thank yous for the Funatic guest. Well Brain much to my surprise (really it shouldn't have been because the man is awesome) took my request one step further and had these made! My wife knew about the little ones being made for thank yous but I managed to keep the big one a surprise. The big one started the night on our reception table greeting everyone that came to the wedding, quickly became the talk of the wedding and eventually was the most requested dance partner of the night! Will never miss an opportunity to show off this picture. Which somehow has gotten cropped really weird, sorry Alex! sdcccrasher wrote: My oddest piece is a Spastik Plastik coin purse. Don"t you just love these. Mine is blue and also has the chain attached. Truly the "old days" at the conception of the Funko phenomenon. Thank you for sharing these wonderful remembrances. This is extremely special to me as a hockey fan and a Funko fan! Had only ever seen a picture of a picture of one of these and now I actually own one! 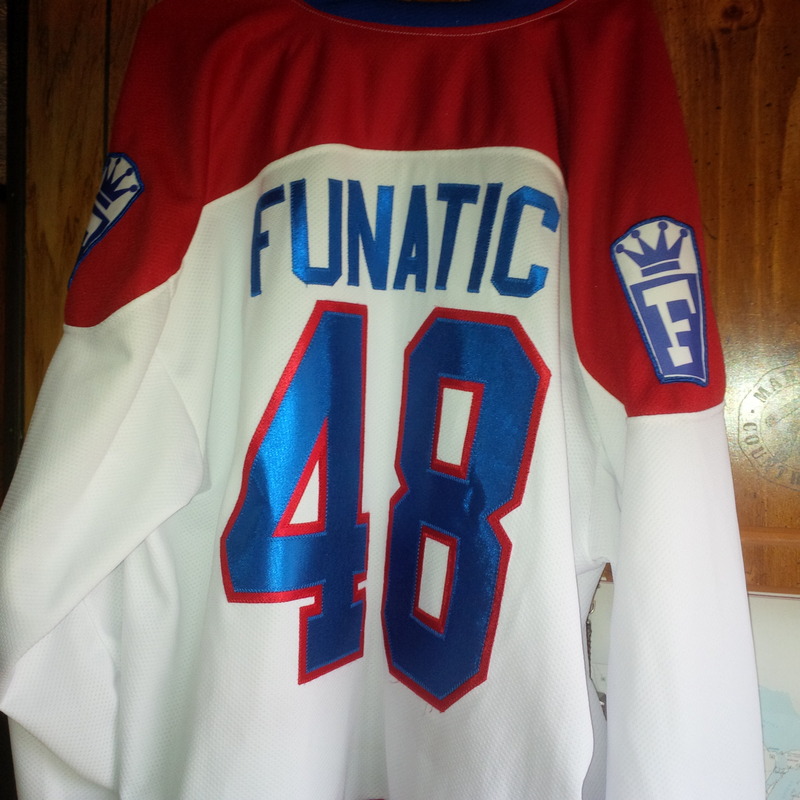 thejosh2010 wrote: This is extremely special to me as a hockey fan and a Funko fan! Had only ever seen a picture of a picture of one of these and now I actually own one! Absolutely awesome!!! 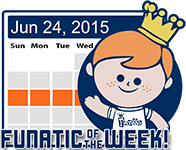 I have a very early Funko t-shirt that is from Sparkys on the Universal Studios walk. 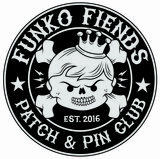 It advertises both Funko and Sparkys and comes from the early Mike Becker days. One of my favorite oldies. 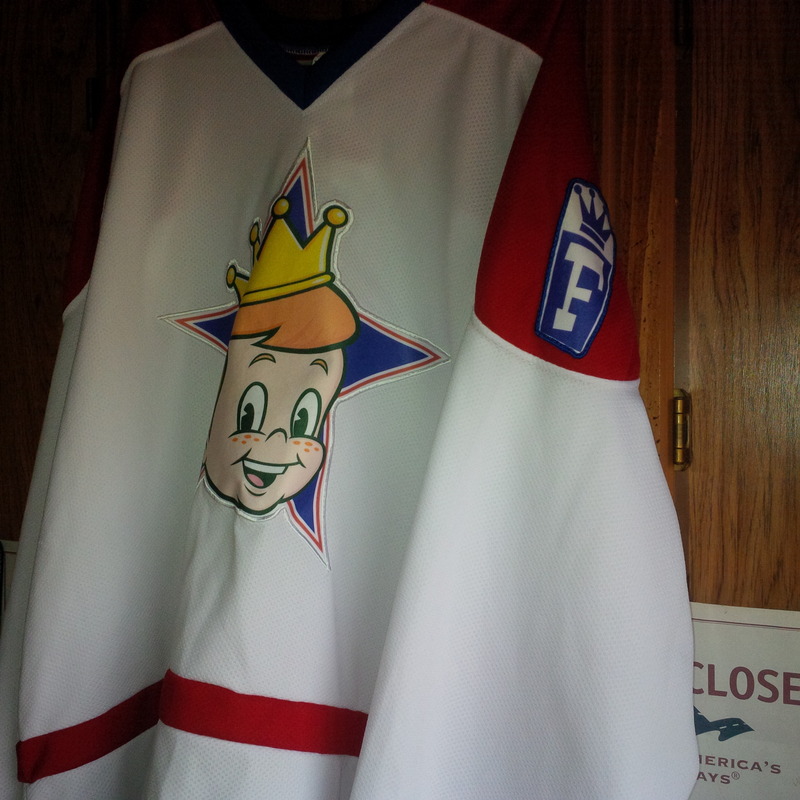 The flyers and that jersey are just amazing! Never knew such things existed. Love the jersey Josh! Most excellent! ok, this is my new favorite thread. I LOVE all these great "odd" marketing items and rare products. I need to scour some online auctions and see if I can find any of them, now that I know they exist. Thanks for sharing everyone! I agree! 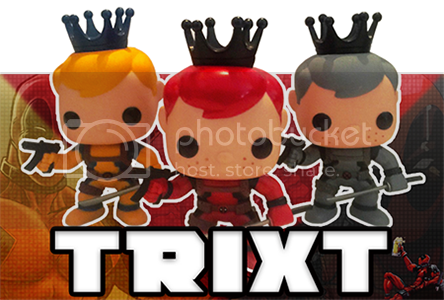 These are awesome to see and a great piece of Funko history. I love that hockey jersey though I don't think I would wear it to a game. That's one to get framed all nice and pretty. squidward wrote: I agree! 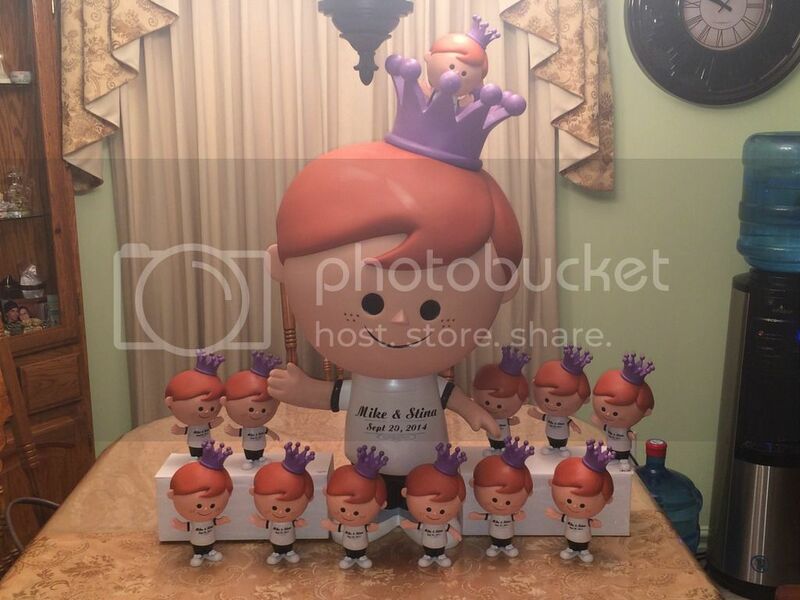 These are awesome to see and a great piece of Funko history. Heads up!!! 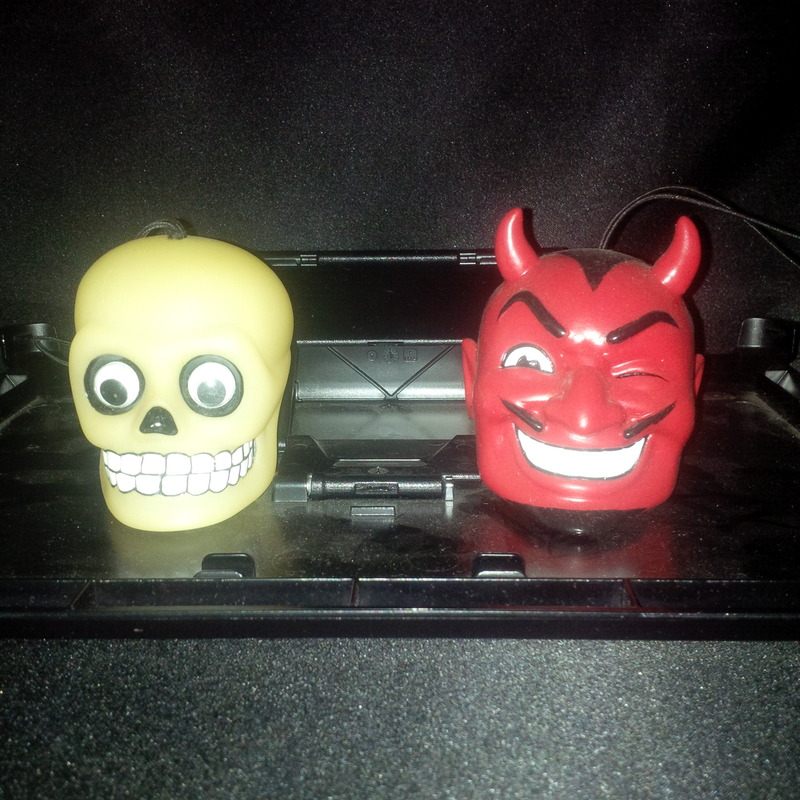 So they're not Motorheadz.....but they're squishy and obviously for a rear-view mirror! Thats awesome Josh, some interesting pieces for sure. That is so awesome!!! Really digging those.... Great stuff Brett!! Love this. Amazing picture of the old funko booth. This is awesome!! 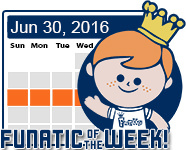 Random question for you Josh, is the shopping cart from your Funatic of the Week picture one of the ones pictured from this shot? Thanks guys!! 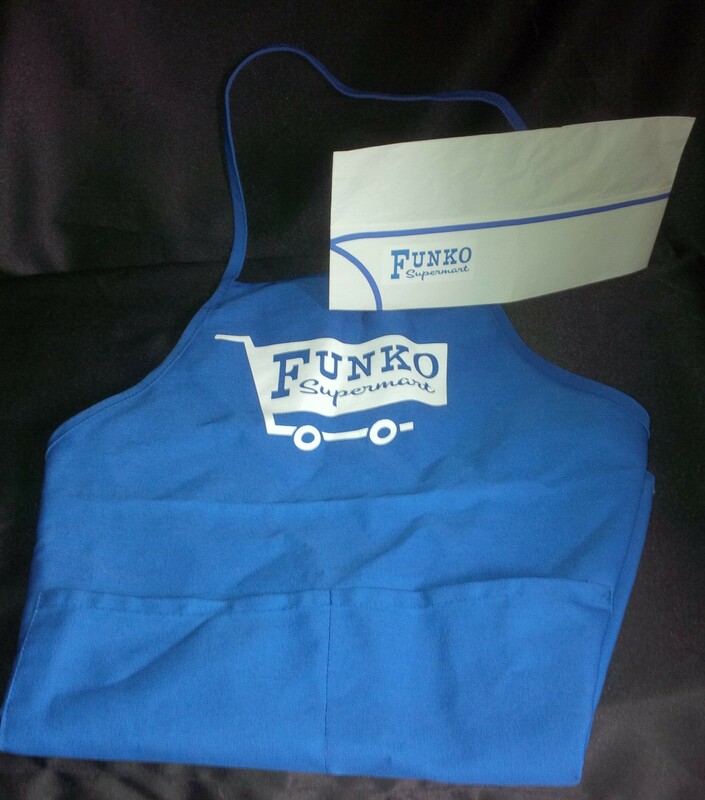 Those were never sold, only worn by the Funko Booth workers; there is believed to be only be 8 or so of the aprons, but the hats were a little higher as i remember reading a few were given out to other Con folks as well; mine pictured was never worn. Those are awesome Brett! I need them! I was looking through my collection for something to share here...I guess it's not very odd but it's very cool! A 1983 quarter, the year I was born!!!! 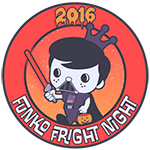 And a cool little Freddy pin from a Fundays a couple years ago. Cool pin Kevin! Really like that one!! thejosh2010 wrote: Cool pin Kevin! Really like that one!! You got me thinking. I have to find my shirt with SD Padres figure swinging his bat, worn by the booth workers a couple of years ago. Maybe someone can let me know what year the Funko Booth had the workers wear the Padres tribute. As soon as I find it I will take a pic and show it. 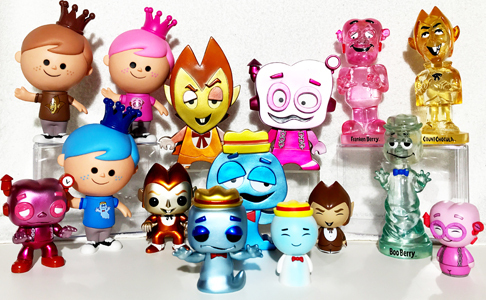 Loving all the cool Funko products! It's really nice to see all these! 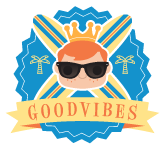 Peachtree wrote: Loving this thread already! 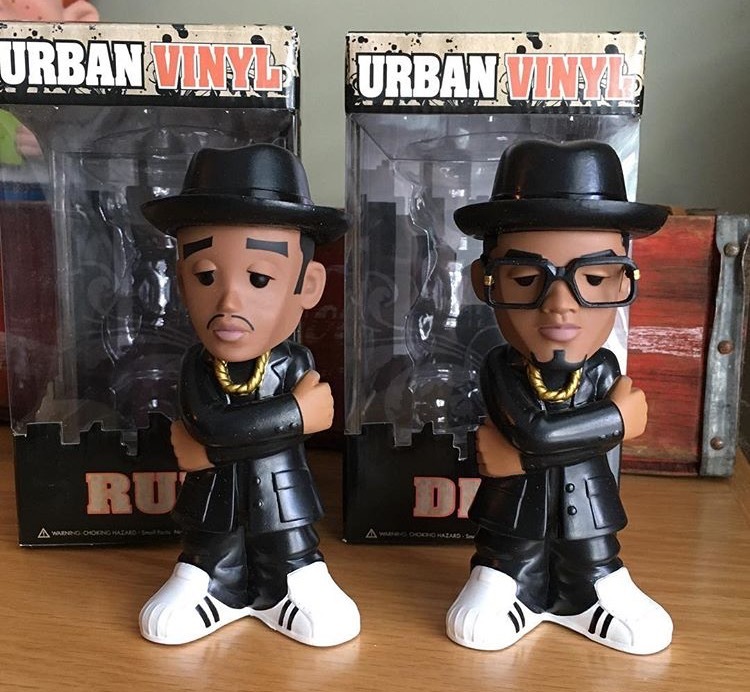 My set of RUN DMC Urban Vinyls. Only seen four sets - mine, Craig's, Chezpopp's, and Amos Maldonaldo's. I have a set of these too also have the color protos and the all white protos. There were very few of these guys ever made! Love my set too! Lots of cool stuff. 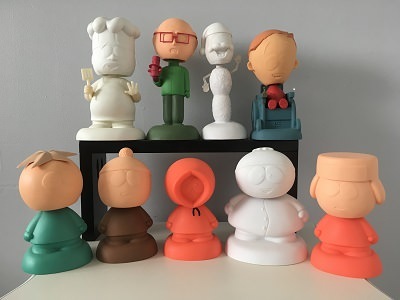 Hope Funko makes new "odd" pieces for the fans. Yes!!! I just found my early Spankys (Universal Walk) T-shirt and the SDCC Funko Booth T-shirt with the Padre figure hitting a baseball. Will put up photos soon. sdcccrasher wrote: Yes!!! I just found my early Sparkys (Universal Walk) T-shirt and the SDCC Funko Booth T-shirt with the Padre figure hitting a baseball. Will put up photos soon. 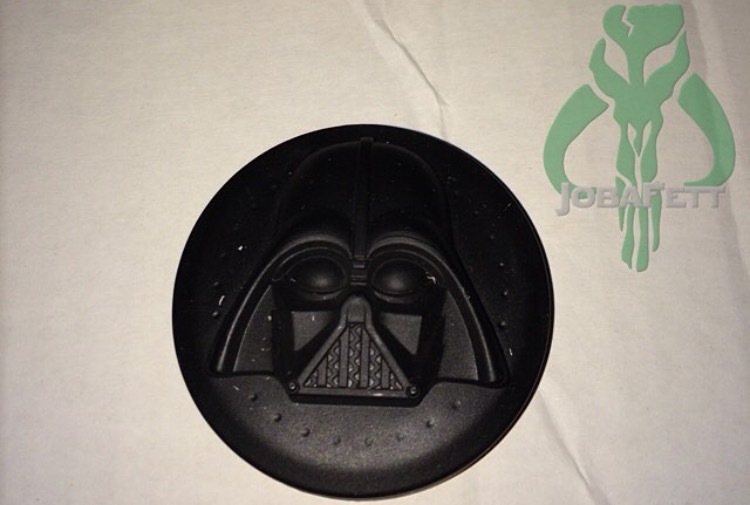 Does a proto of the Vader headphone sides count ? That's really cool Jordan, congratulations on the cool piece of Funko! Wows that Vader looks amazing. It looks like a Frisbee. It counts! That's cool Jordan! 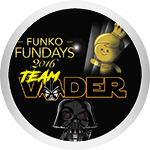 This may not be Odd in terms of Funko. In this picture are some banks I have collected over the years(Not Funko). the pig is one I made(I think I just painted it!) in kindergarden and it has lasted me a long time. 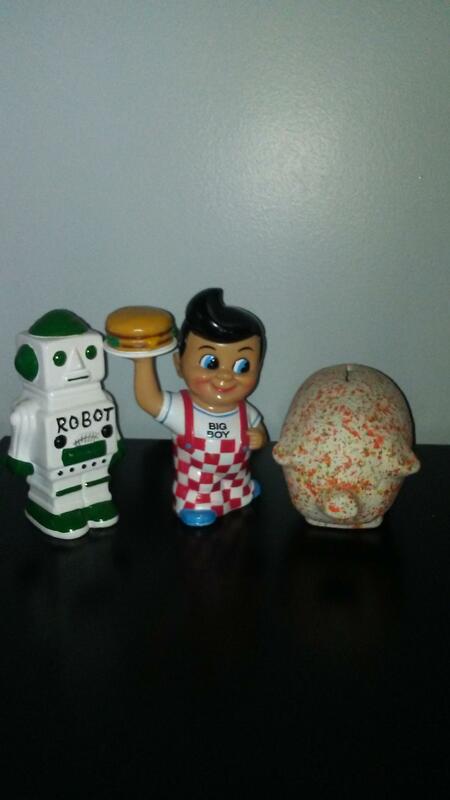 The robot was a gift from my GF. I am glad to add this Big Boy Blue Foot bank. I am not sure why they made the blue foot version but maybe someone can shed some light on that for me. Congratulations Joe! I know that was always said to be a hard to find variant, but as for the exact numbers and specific details, i'm not really sure! Still a very impressive find!! Congratulations again pal!! Funko contraception!!?? Safe fun for everyone!